Room 2 is a ground floor double and gets booked up fast. 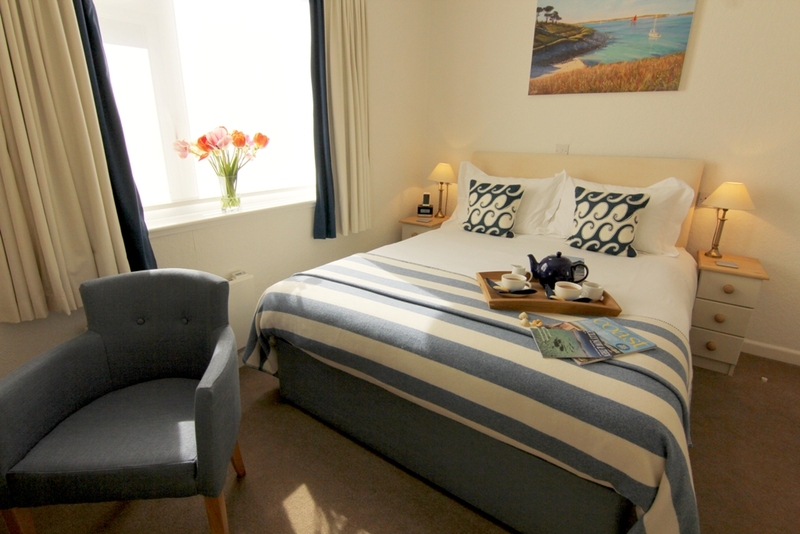 It has a comfy 5 feet wide king-size bed and is tastefully decorated in coastal colours. The room is well proportioned and benefits from a spacious en-suite shower room.